When playing basketball or any other sport, if you don’t sweat you aren’t playing it right. It is important to have a headband as they can keep long hair out of your eyes. More importantly, however, they are designed to keep sweat from getting into the eyes. It is as important to wear wristbands so that sweat does not interfere with gripping the ball. As a ball handler it is imperative to wear them. Not too long ago black or white accessories were the predominant colors. Luckily, there is a great selection of custom headbands and wristbands on the market today—there is surely even a color to match that of your team. Below is a list of the most stylish sport wristbands and headbands that every sportsperson must have for 2017. 1. 10 Colorful Sports Basketball Headbands Yoga Headbands Sweatbands Headbands made by ColorYourLife. These headbands are made up of 65% cotton, 30% nylon, and 5% lycra. They are thick and can absorb a lot of sweat. They are machine washable as well. They come in a wide variety of colors like red, blue, orange, hot pink, green, purple, and light blue. This way a player can be easily noticed. They cost around $11 USD. 2. Interval Reversible Headband made by Adidas. Brand name accessories will always be in style. The headband is made out of cotton terry and showcases the Adidas logo. This band comes in a wide variety of colors such as blue, orange, red, flame design, forest green, pink, hot pink, and more. The headband costs $7 USD. 3. Interval Reversible Wristband made by Adidas. 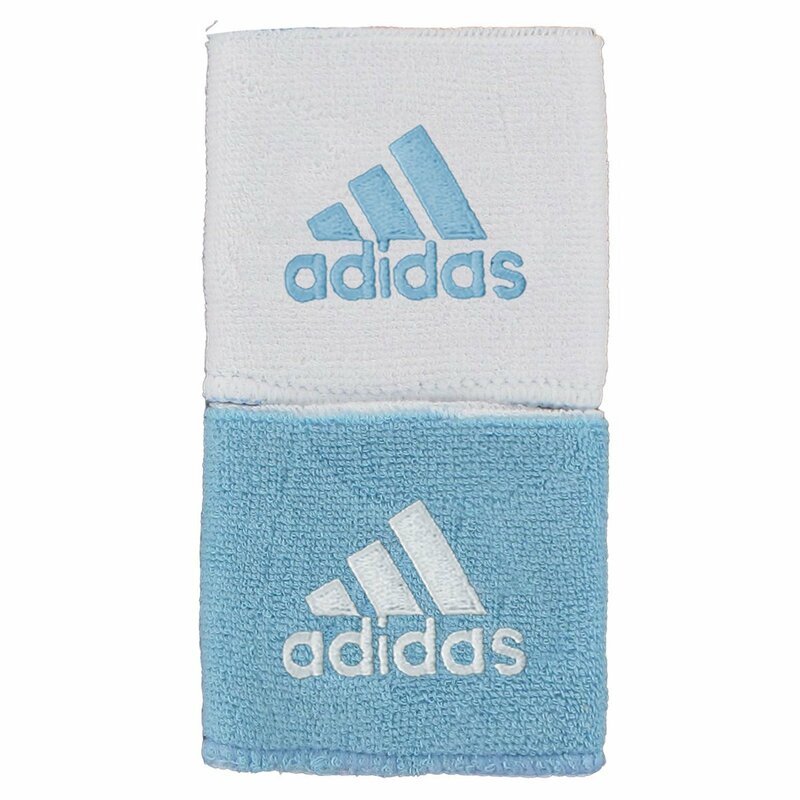 These wristbands match with the previous headband mentioned that is made by Adidas. It is made out of cotton terry with the logo appropriately displayed. It comes with a wide array of colors as well. The wristbands cost $7 USD. 4. 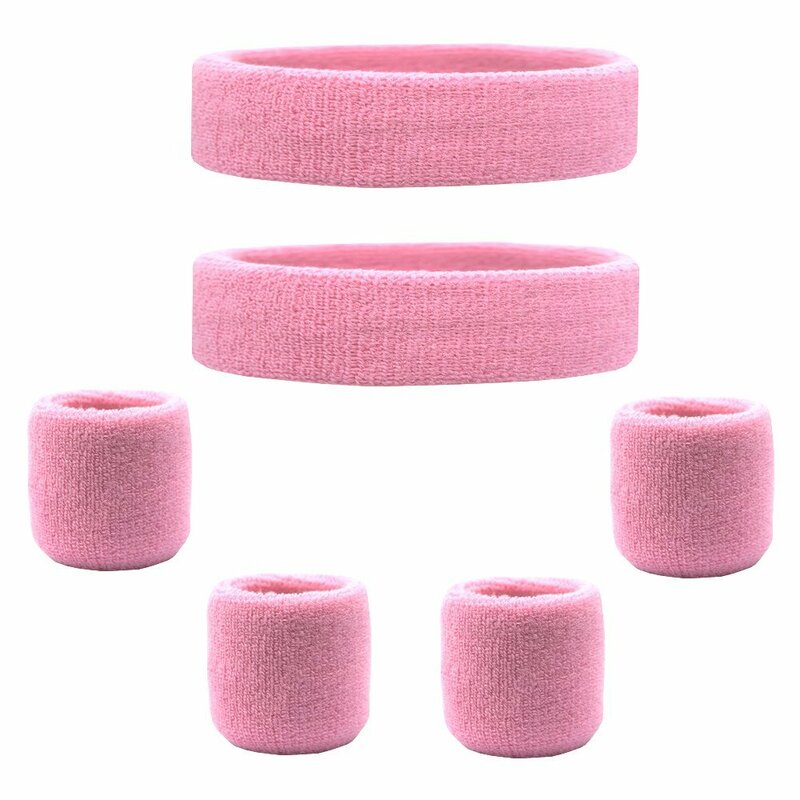 Sweatband Set [ 3 or 6 Pack ] - including Headband and Wristbands - for Running Cycling Tennis Football Basketball and All Sports made by Favofit. Coming in either a set of three or six pieces, the wristbands and sweatbands are made from 80% cotton, 12% spandex, and 8% nylon. They are machine washable so that the product can last a long time. The product can come in two different packages. One package can consist of one headband and two wristbands, and another package can consist of two headbands and four wristbands. The head/wristbands can come in many different colors including yellow, blue, pink, and black. The sweatband sets cost under $30 USD. 5. 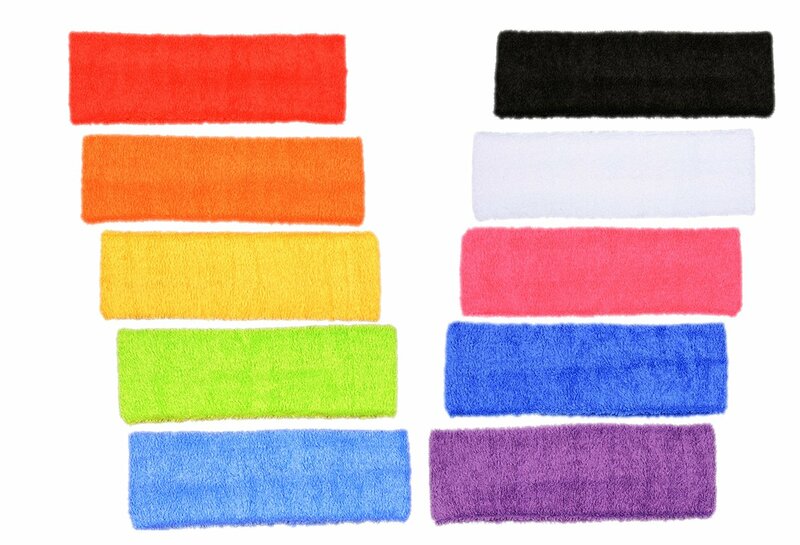 Suddora Headbands (Also in Neon Colors) - Athletic Cotton Terry Cloth Head Sweatband for Sports made by Suddora. This headband comes in multiple colors and even neon too. Colors include neon pink, rainbow, neon orange, yellow, gray, purple, red, and more. The headband can be put in the washing machine and is made up of 80% cotton, 12% spandex, and 8% nylon. It costs around $6 USD. 6. 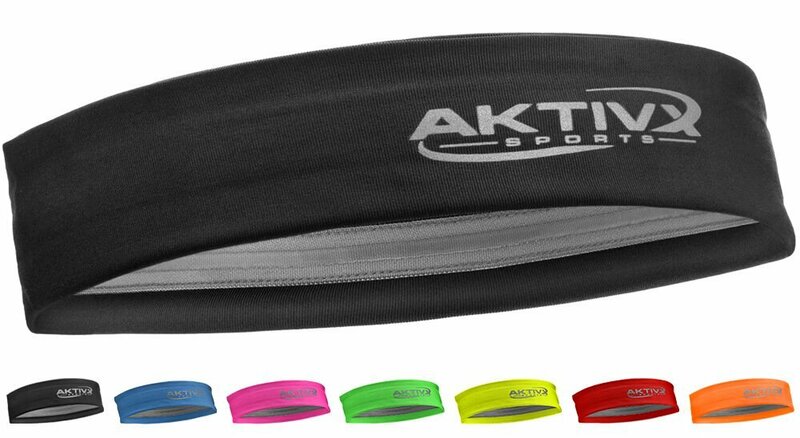 Fitness Headband, Sports Headbands for Women, Fashion Headband, Running Headband made by AKTIVX Sports. This headband is designed to wick away moisture to keep a player looking awesome while staying cool and dry. The inside of the headband is equipped with non-slip silicone strips so that it stays in place during vigorous activity. The headbands come in a variety of colors including hot pink, blue, green, yellow, orange, red, and more. The AKTIVX logo is reflective as well. The headband cost around $20 USD. 7. 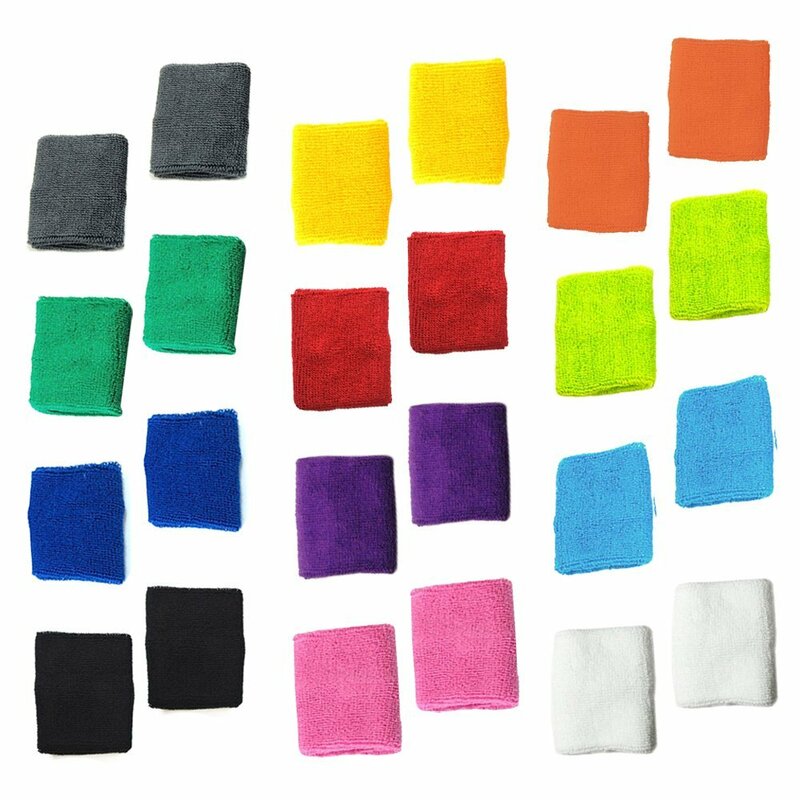 12 Pairs of Different Color Cotton Sweat Sports Basketball Wristband (Wristband C) made by Cosmos. The Cosmos wristbands are machine washable and are made out of cotton. The package comes with 12 pairs of wristbands. The wristbands can come in blue, yellow, red, orange, gray, pink, purple, and more. The wristbands cost around $14 USD. 8. 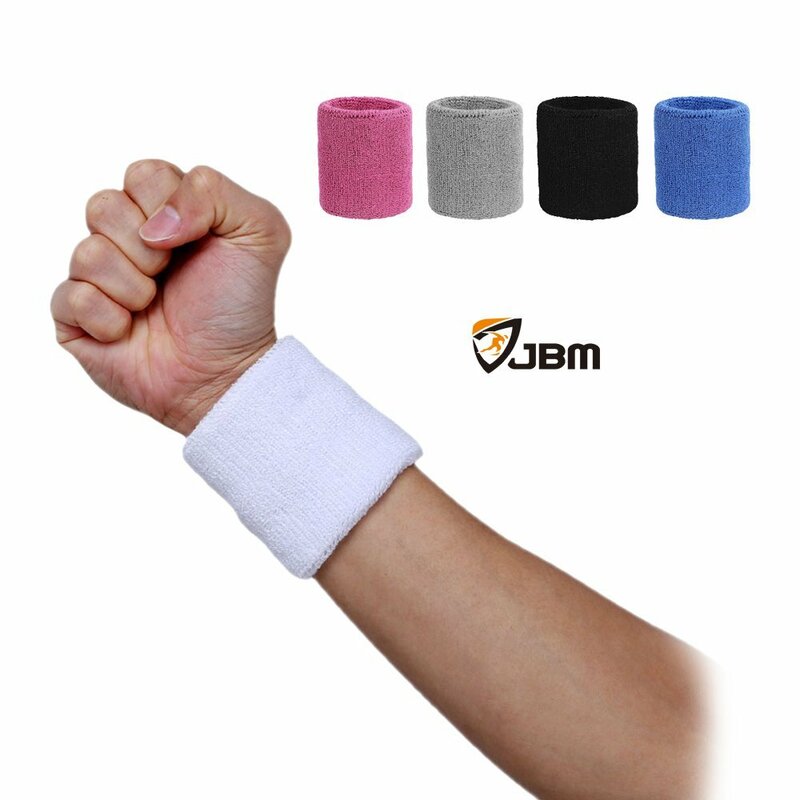 Color Wristband Sweatband for Sports basketball Football Softball Tennis Gym Running wrist sweat band/brace Compression (1 Piece) made by JBM International. These wristbands will not only be stylish with the many color choices available, but they are designed to help prevent sport related injuries with compression. The breathable fabric will keep the skin cool and dry as well. It comes in white, black, pink, blue, and gray. The compression wristband costs $25 USD. 9. Men's 3" Performance Wristbands made by Under Armour. Yet again, brand names will always be stylish no matter what. The wristbands made by Under Armour are will wick away moisture and are made up of 96% polyester and 4% rubber. The wristbands have the logo “UA” embroidered on the outside as well. They come in black, white, red, gray, and blue. They come in pairs and cost under $7 USD. 10. Printed Headbands Assorted 6pk made by Nike. 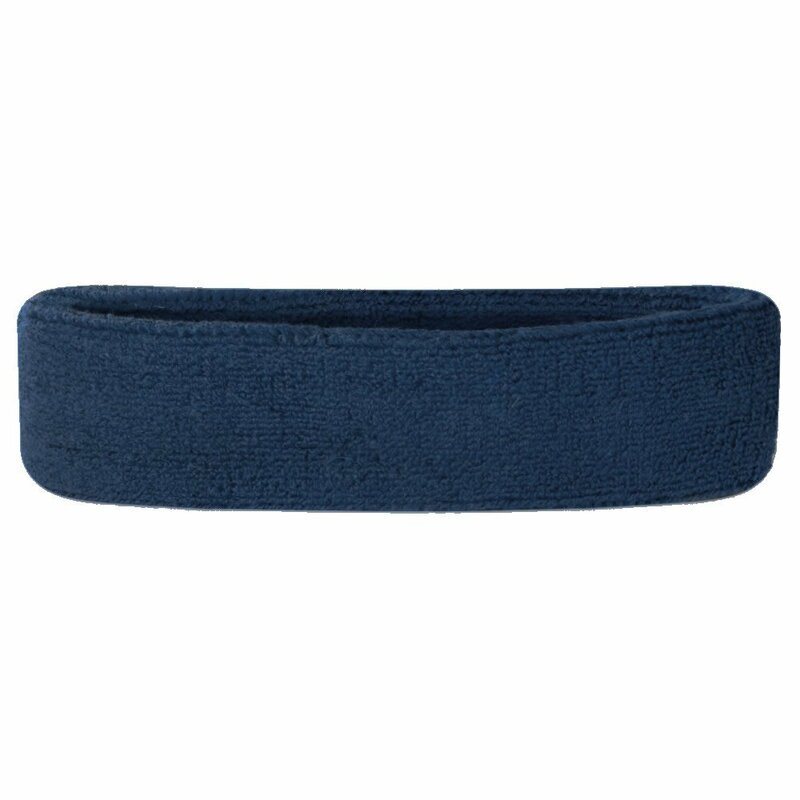 Many female basketball players prefer the small width headbands opposed to the thick ones. 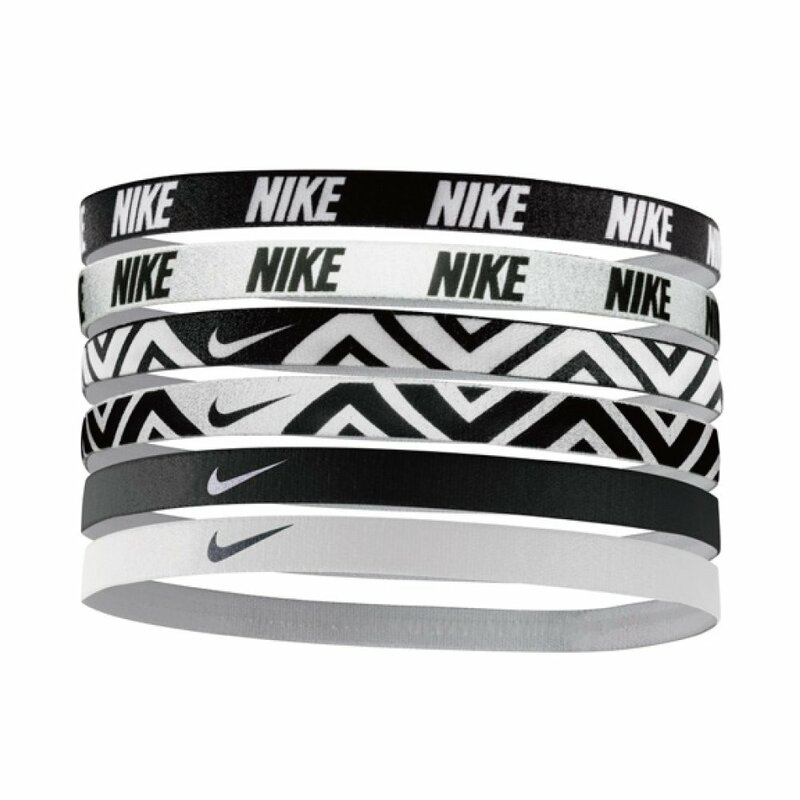 The 6-pack assortment of headbands made by Nike comes in different patterns and colors. Sets can be in black and white, different blues, and other bright colors. They are made up of 65% polyester and 35% spandex. The elastic band has silicone strips so they do not slip. The Nike logo is present and they cost under $15 USD.